Our newspaper had an article a few weeks ago called Beauty Doesn't Have to Be Expensive...or something like that. The gist of it was that there are many beauty products that women love that are inexpensive or cheap. People were supposed to write in their recommendations. Of course, I never saw the follow up article so I'm asking you! What inexpensive products do you swear by that make you beautiful? It can be anything you believe should be shared. I will put these ideas together and post them in a few days. Let me be honest here and say that I'm a Grocery Store Beauty Queen. Any product I use gets thrown in my basket while I'm food shopping (picture Target). Nothing sophisticated in my drawers or purse. I'm perfectly fine with that because really...have you ever looked at a lady and thought, "Wow she has on expensive makeup." or "Wow I bet her mousse is expensive. "? I'm talking too much now. Please share your ideas! Added later: Last night I played for an hour and put all the blogs I visit on a special link. Now I feel like something is seriously missing on the side of my page. Y'all!! How do you prefer to list yours? I get my products at the grocery store too, I am trying new things all the time and still havent found the miracle product they all claim to be. The one thing I have ever tried that I love is Lancome make-up remover. Pricey but if I get oil near my eyes they swell and get red. Not beautiful! I have been thinking of listing my blog links on a seperate page and I need to update it! Great post. I am highly LOW maintenance--is that an oxymoron? My fav is Sally Hanson Hard as Nails. I use this only on my toe snails--that is what my grandson calls toe nails. Thanks for Jack's birthday wish. Hope you have a sunny day. I have used Avon rich moisture cream on my face for about 40 years. I do believe it has helped to control the amount of wrinkles. Rest of my "beauty stuff" are items you can pick up at the local Wal-Mart. None of the ritzy stuff will you find in my make up collection. Beauty is more than the outer looks anyway-it is what comes from within. Stacey: Most everything I use also comes from Wal-Mart or the drug store. I do like Bare Escentuals Bare Mineral eye shadows. I usually order them off of QVC when they are featured. I also ordered their Faux Tan and really like it! I am waiting on someone to invent something like spackle, that you can smooth on, hide everything and start from there! I buy most of my makeup at Wal-Mart or drugstores...HOWEVER, I've been a fan of Elizabeth Arden Total Finish cream makeup for years. Goes on smoothly and lasts all day long. Also, I use Eucerin Everyday Face Lotion (SPF 30) under my makeup religiously. Most of my makeup, moisturizers come from Walmart. I do spurge on Bare Minerals for my main makeup. I wear contacts and have found it to be the best for my eyes. Great Post! I am definitely a low-maintenance girl, but I love my highlighted hair. To keep the color longer, I always use blonde shampoo and conditioner for highlighted or colored hair. I am really cheap and use the Suave brand. It really does make your highlights last longer. I am all for that! I buy my make-up where ever they take a coupon! No favs...things really don't do what they say for me...especially mascara! I like my favs on my blog because then I can refer to them when talking to friends...also, if I see the favs on a fav of mine, I may check it out and what it to me my fav too...just my thoughts...have a great week! Hi Stacey, I like expensive and inexpensive makeup but I do tend to put more money into my skin care. I have a separate page for a blog list....really like it. I use mostly everything from Wal-mart. Maybelline, Loreal, Cover Girl BUT the one thing I splurge on is my lipstick. I LOVE my Estee Lauder - maplesugar (color) lipstick. I have tried many, many lipsticks but stay with this color...LOVE it! I get most of my stuff at Target, so don't feel bad! The only thing I splurge on is Philosophy's "Hope in a Jar". It's a moisturizer for fine lines and I *love* it. It's a little high, but it only takes a little tiny bit each morning and night, and after using it for a few months now, my tiny lines are gone. Plus I love the way it feels - like a drink for my skin. :) Have a great Monday! My experience has been that few beauty products regardless of price achieve the miracles they boast about. So, I figure why go broke making the cosmetic companies richer if the results are the same as what comes from the drug store. I'm a drug store gal all the way. Hi Stacey, I am a grocery store girl when it comes to make up...but where I spend the bucks is skin care...I have always used Merle Norman...I have exprimented with cheeper stuff, but It just doesn't do the trick for my skin. I also like Beauti Control skin care (some things) like the masks..love them. I want to know...when you moved all your blog roll to a different blog...did you have to do it one at a time or was you able to move all at the same time? During the winter, I use Neutrogena hand cream. It is awesome and saves my cracked hands. I also love their moisturizer. I'm just not a "make up your face" type person. I'll buy the makeup, use it once or twice, and then end up throwing it away. So I'm of no use there. In terms of the blog roll, I use to put mine on another page. But I like the simplicity of having them right there to the side. And I think they're pretty to look at with their unique names. Hi Stacey! I'm a Neutragena gal myself and buy my products at the grocery store too! In the past I've bought the expensive stuff and I do just as well with the Neut products or maybe better. My skin is really sensitive and I used to break out so much and not as much now since I use the Neut products! 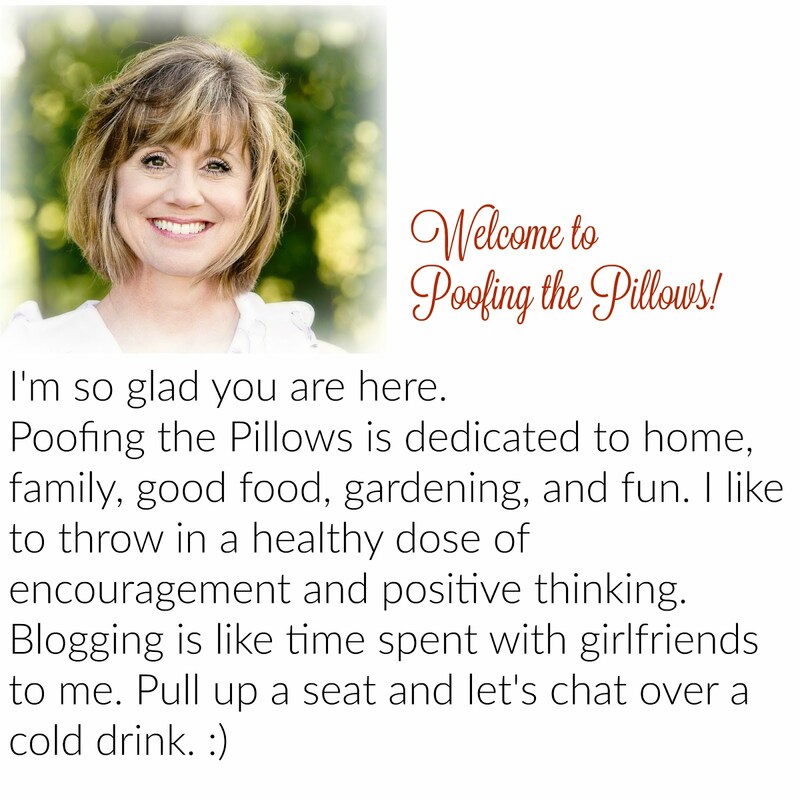 I love the look of your blog! I've put my blogs that I visit on another page and I like it that way. You'll get used to it! Here's one: When your hair seems to be collecting too many products that aren't washing out, pour a little baking soda in the palm of your hand, then blend some shampoo in. Wash your hair with this mix - - - it will feel wonderfully clean. This should only be done like once a month or so. Hydrogen peroxide swished in your mouth for a minute or so will also help whiten your teeth. My children raised their babies with it! I am old now..and love my "baby cream." I'm pretty cheap about everything, including beauty products. I'd love to get some good advice! Stacey I came looking for your Porch party...LOL! Can you tell me what you think I should hang on my front door? I'm thinking one of those metal baskets??? Maybe??? I always buy my makeup at Target. I adore Loreal mascara the lengthening formula in the skinny gold tube. One thing that's expensive I MUST use is Clinique's foundation. I have really bad allergies. Thanks for your kind comments. Come by any time. I visited your other blog too, but didn't know if you went there as often. We are so alike! I love the grocery makeup isle too! Im not that big into makeup so I hate to spend the bank on it. You know what I really love to do.... go to the mall and get free samples! Oh Happy day! Okay, this is a really great post! I just love when we seek out to get opinions of others here in blogland on stuff like this...I have tried many many products on my face from the grocery store. Here recently I started using just plain on "Dove" soap to cleanse my face and then St. Ives moisturizer. My face is looking pretty darn good too! As for makeup, I am currently using Clinque and I'm happy with it for the most part. I am ALWAYS searching for something new though. I guess this would tell you that I am not completely 100% happy with Clinque. Can't wait to read other responses!